Points Needed: 1400 Games are not compatible with mobile and tablet devices. Please add this title to your Wish List and sign on to your the first club account from a desktop computer to complete your redemption. ABOUT THE GAME	Summoners have toppled empires and challenged gods. They are venerated as saviours and feared as destroyers. 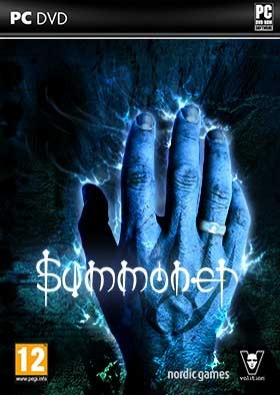 With rings crafted by the ancient Khosani, the gifted can call forth demons, dragons, and elementals, but only the strongest can control the forces they unleash. The Story:	Born with the mark of the Summoner, Joseph possesses a power greater than emperor… s and gods. As a child, he summoneda demon to save his village, and watched in horror as those he loved were destroyed. Nine years later, the armies of Orenia invade, and Joseph must confront the prophecy he was born to fulfill.KEY FEATURES Traverse a beautiful, completely original world spanning two continents. Up to 16 different creatures to summon and control in combat, such as minotaurs, golems, dragons, and original fantastical creatures. Cast spectacular spells. Wield an arsenal of weapons. Clad yourself in the armour of a warrior.SYSTEM REQUIREMENTS Minimum OS: Windows XP / Vista / 7 / 8 Processor: 1.8 GHz Processor Memory: 512 MB RAM Graphics: 3D graphics card compatible with DirectX 9.0c DirectX: Version 9.0 Hard Drive: 800 MB available space Sound Card: DirectX 9.0c or better compatible sound card Recommended OS: Windows XP / Vista / 7 / 8 Processor: 1.8 GHz Processor Memory: 1 GB RAM Graphics: 3D graphics card compatible with DirectX 9.0c DirectX: Version 9.0 Hard Drive: 1 GB available space Sound Card: DirectX 9.0c or better compatible sound card	© 2014 Nordic Games Licensing AB, Sweden. Developed by Volition Inc. Summoner, THQ and their respective logos are trademarks and/or registered trademarks of Nordic Games Licensing AB. All other brands, product names and logos are trademarks or registered trademarks of their respective owners. All rights reserved.